Crowdfunding a start-up begins with a lot of excitement and hype generated around a project aimed at raising awareness of the pitch among investors. But the fact is start-ups are more likely to fail than survive and the latest big brand to go bust is just another milestone on the journey. 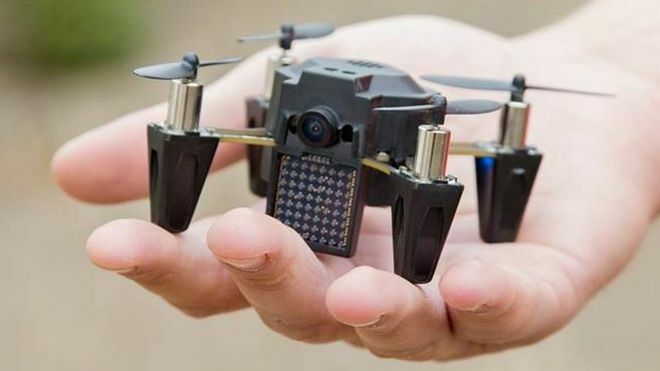 In January 2015, Torquing Group raised £2.3 million to develop and manufacture the Zano drone aimed at being small enough to fit in the palm of your hand. For an outlay of £165, customers could buy their own drone equipped with a high definition camera to capture personal high definition images and video. Controlled by an app on a smartphone, the intelligent Zano drone was meant to have the capability to fly and spy on you wherever you went. Unfortunately, the promise never quite came true. Torquing Group had problems in keeping the drone flying. According to the BBC, the drone performed poorly in August – a month after the delivery date was set. The drone crashed into walls, had a flight time of a just few minutes and delivered bad video and images. Around 600 drones were shipped to backers who had pledged cash through crowdfunding platform Kickstarter, but failed to deliver on the promises made in the pitch. The CEO resigned, citing personal reasons and irreconcilable differences. Now, Torquing has gone into liquidation. “This is not what we wanted for Zano and would like to thank everyone for their support,” said a statement issued by the company. However, insolvency experts called in to sort out the company’s finances reckon investors have a slim chance of recovering any cash as they are way down the list of creditors – even if any money is left in the bank. Consumer and industry watchdog the Financial Conduct Authority (FCA) warns investors that they are likely to lose all their money if a start-up fails. “Before investing, check out the company and the people running it,” said an FCA spokesman.